“In an age of environmental concern, Ganga Kutir Residency has used recycled bricks from old materials, enhancing its character. The property suggests that architecture married to nature can be the ‘refreshing change’ that we are seeking in our lives”. MICD Associates is an architectural design firm that was formed in 1997 by Channa Daswatte and Murad Ismail, who met while working for Geoffrey Bawa Associates. They create architecture appropriate to site, climate and culture, using materials of everyday construction, including freely available industrial materials. Channa Daswatte graduated from the University of Moratuwa in 1987 and worked in the practice of C. Anjalendran. Thereafter, he pursued a postgraduate diploma in architecture at the University College, London, 1990, followed by a Master of Architecture in advanced architectural studies at the University of London in 1991. 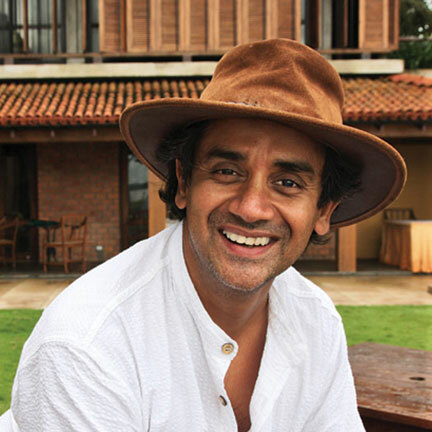 He then joined the Architectural Consultancy of Geoffrey Bawa in 1991 and was involved in several projects including the Kandalama Hotel and the new residence for the President of Sri Lanka. He was made a Director / Partner of Geoffrey Bawa Associates Private Limited in 1997. 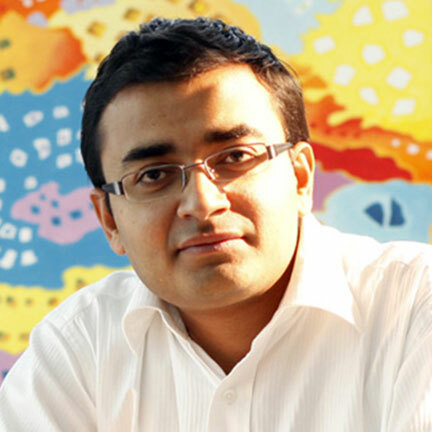 He co-founded MICD Associates and partnered Murad Ismail from 1997 onwards. He was also a lecturer and year person at the Colombo School of Architecture from 1992 to 2001 and a lecturer at the University of Moratuwa from 2002 to 2004. 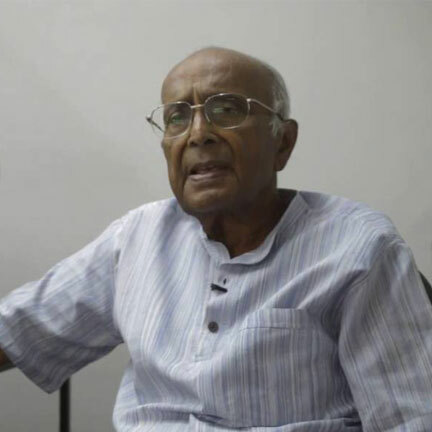 His literary achievements comprise contributions to magazines on architecture and style and writing of the book Sri Lanka Style with photographs by Dominic Sansoni. In 1967 he was awarded for the National Art Gallery, Munich design competition, in which top ten architects of the world were invited. It was for his imaginative use of space and dimension to create The Ffort Raichak,Shri Mitra got the JK Cements Architect of the Year in ‘98. His work was also nominated for the much coveted Aga Khan award. Shri Mitra lives and works out of his city of love, Kolkata. An architect and project manager, the Managing Director of Salient Pvt. Ltd, Vivek Singh Rathore is a Bachelor of Architecture from IIT Roorkee and studied Project Management at NICMAR. He is also a member of the Council of Architecture. He has played a major role in the Ambuja Realty Group since its inception. He has been responsible for the Company’s design, development and planning, contributed towards urban and physical development design elements of multi-disciplinary projects, is experienced in project development and management of various commercial and residential projects and has been involved in the design and development of infrastructure development projects. Mr. Ashish Acharjee graduated from the Indian Institute of Technology in 1988 and worked with Architect Charles Correa (1988-90) in several landmark projects like the Jawahar Kala Kendra a ‘Cultural Centre’ in Jaipur, a ‘Beach Resort’ at Goa, a ‘Rehabilitation Township’ at Bagalkot in Karnataka and MRF Corporate Headquarters at Chennai.He moved to Kolkata in 1990 and joined a subsidiary of Gujarat Ambuja Cements Limited as Senior Architect and worked in pioneering projects in real estate before setting up his practice in 1998. He divides his time between practice, research and activism in architecture. Involved in a diverse array of projects that range from Housing to Planning; Institutional to Commercial; Documentation, Research and Restoration in Kolkata and adjoining states. 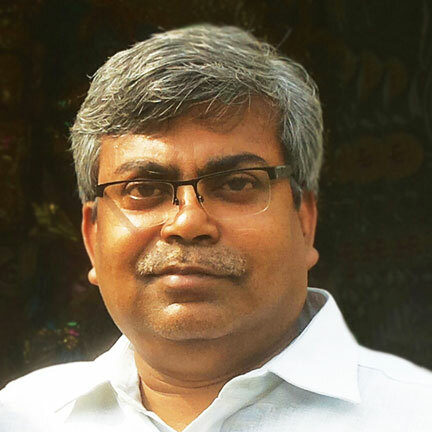 He is an empanelled consultant with the West Bengal Heritage Commission, Kolkata Municipal Corporation and Directorate of Archaeology and Museums, West Bengal. Involved in restoration of several projects in West Bengal and Urban Renewal of the Historic core Serampore- a joint venture between the Governments of West Bengal and Denmark. He has been a correspondent in leading architectural journals of India and has received several awards for academic and professional work. Mr. Ashish Acharjee graduated from the Indian Institute of Technology in 1988 and worked with Architect Charles Correa (1988-90) in several landmark projects like the Jawahar Kala Kendra a ‘Cultural Centre’ in Jaipur, a ‘Beach Resort’ at Goa, a ‘Rehabilitation Township’ at Bagalkot in Karnataka and MRF Corporate Headquarters at Chennai.